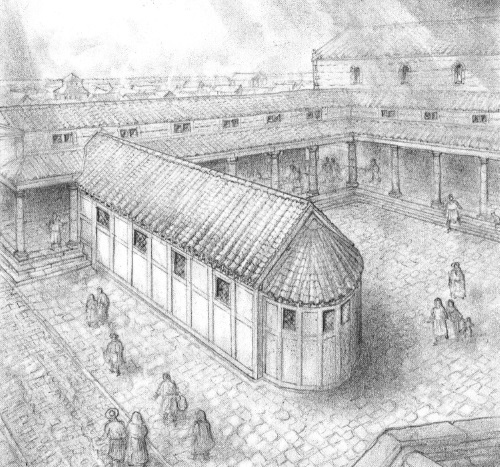 Reconstruction of the fifth- to sixth-century apsidal church at St Paul in the Bail, Lincoln, located in the centre of the Roman forum and entered from the western portico (image: extract from Green, Britons and Anglo-Saxons (Lincoln, 2012), fig. 13, by David Vale/SLHA). Roman-type wheel-thrown pots used for cremations at the Cleatham Anglo-Saxon cemetery; these are considered to represent products of the mid- to late fifth-century 'post-Roman' British pottery industry by Maggie Darling and Kevin Leahy (image: fig. 23 from Green, Britons and Anglo-Saxons (Lincoln, 2012), drawn by Kevin Leahy and used by kind permission). If Local Coarse Pebbly ware is at the very least most suggestive, it does not stand alone as the only evidence for a degree of continued Romano-British pottery production and/or use in the fifth-century Lincoln region. Of particular interest in this context are a number of individual pots that are thought to be potentially of Romano-British manufacture but which are either found in early Anglo-Saxon contexts and/or show signs of early Anglo-Saxon influence in their form or design. Perhaps the most convincing candidates here are four pots excavated in the 1980s from the exceptionally large fifth- to sixth-century Anglo-Saxon cremation cemetery at Cleatham, Lincolnshire, located around 30 km to the north of Lincoln. These cremation urns were all made using Romano-British wheel-throwing techniques but, as both Maggie Darling and Kevin Leahy have observed, they cannot be seen as re-used Roman-era pots due to their body-shapes and fabrics, and are instead considered to represent products of the mid- to late fifth-century 'post-Roman' British pottery industry, given their phasing in the cemetery. (7) Interestingly, another urn of the same type and manufacture was found in the fifth- to sixth-century Anglo-Saxon cremation cemetery at Millgate, Newark, 25 km to the south-west of Lincoln, and further fragments have been found in the south of the county at the Roman 'small town' of Great Casterton—in a destruction layer coin-dated to some point after AD 375—and close to the Roman 'small town' of Littleborough (Segelocum), on the Trent north-west of Lincoln, with the first of these Roman sites possessing a well-known Late Roman to early Anglo-Saxon cemetery that is considered to offer 'a convincing case of Roman–Saxon burial continuity' and the second appearing to have still been a key site in the Lincoln region into the early seventh century. (8) Needless to say, the above evidence would thus seem to indicate that the local Late Roman pottery industry not only continued to function into at least the mid-fifth century in this area, given the nature and contexts of these wheel-thrown vessels, but that its products also circulated relatively widely in the region around the former provincial capital at that time, being found to both the north and the south of Lincoln. Sherd from a greyware vessel of the same type as the Roman-type pots recovered from Cleatham; dated to the mid-fifth century by Kevin Leahy and found near to Littleborough on the Trent (image: PAS). 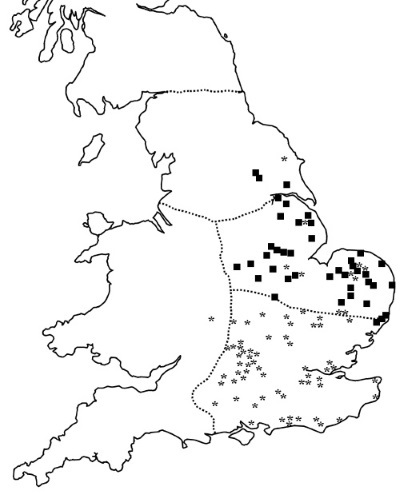 The distribution of early 'Anglian' cremation-predominant cemeteries, represented by filled squares, plotted against 'Saxon' artefacts of the second half of the fifth century, represented by stars, and the Late Roman provincial boundaries as reconstructed by J. C. Mann in Britannia, 1998 (image: fig. 21a from Green, Britons and Anglo-Saxons (Lincoln, 2012)). 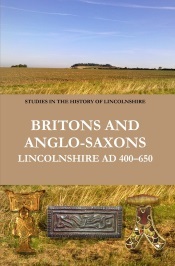 1 Green, Britons and Anglo-Saxons: Lincolnshire AD 400–650 (Lincoln, 2012), pp. 111–12, and Green, 'The British kingdom of Lindsey', Cambrian Medieval Celtic Studies, 56 (2008), 1–43 at pp. 23–4. 2 See Green, Britons and Anglo-Saxons, pp. 25–7, fig. 2, and the references cited therein; M. J. Jones, ‘The Colonia era: archaeological account’ in D. Stocker (ed. ), The City by the Pool: Assessing the Archaeology of the City of Lincoln (Oxford, 2003), pp. 56–138, at pp. 97–8, 124–38. 3 Green, Britons and Anglo-Saxons, especially chapters 2–4, fully develops the case for a British territory based at Lincoln and named *Lindēs that was taken over to become the Anglo-Saxon kingdom of Lindissi; see also Green, 'British kingdom of Lindsey', passim. The apsidal church at St Paul in the Bail, Lincoln, and its dating is discussed at length in Britons and Anglo-Saxons, pp. 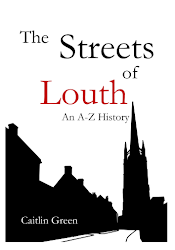 65–9, 82–3, which partially supersedes the discussion in 'British kingdom of Lindsey', pp. 18–22. 4 See, for example, M. Whyman, ‘Invisible people? Material culture in ‘Dark Age’ Yorkshire’, in M. Carver (ed. ), In Search of Cult (Woodbridge, 1992), pp. 61–8; K. R. Dark, ‘Pottery and local production at the end of Roman Britain’, in K. R. Dark (ed. ), External Contacts and the Economy of Late Roman and Post-Roman Britain (Woodbridge, 1996), pp. 53–65 at p. 59; P. Rahtz, ‘Anglo-Saxon Yorkshire: current research problems’, in H. Geake & J. Kenny (eds. ), Early Deira: Archaeological Studies of the East Riding in the Fourth to Ninth Centuries AD (Oxford, 2000), p. 1; J. Gerrard, 'How late is late? Pottery and the fifth century in southwest Britain', in R. Collins & J. Gerrard (eds. ), Debating Late Antiquity in Britain AD 300–700 (Oxford, 2004), pp. 65–75 at p. 66; H. Cool, Eating and Drinking in Roman Britain (Cambridge, 2006), pp. 222–38; J. Gerrard, 'Finding the fifth century: a late fourth- and early fifth-century pottery fabric from south-east Dorset', Britannia 41 (2010), 293–312; K. J. Fitzpatrick-Matthews, 'Defining fifth-century ceramics in north Hertfordshire', Internet Archaeology, 41 (2016), online at http://intarch.ac.uk/journal/issue41/4/toc.html. 5 For the wares mentioned, see Gerrard, 'Pottery and the fifth century in southwest Britain' and J. Gerrard, 'The Black Burnished type 18 bowl and the fifth century', Internet Archaeology, 41 (2016), online at http://intarch.ac.uk/journal/issue41/5/toc.html; M. Whyman, Late Roman Britain in Transition, A.D. 300–500: A Ceramic Perspective from East Yorkshire (University of York PhD Thesis, 2001); and Fitzpatrick-Matthews, 'Defining fifth-century ceramics in north Hertfordshire'. 6 See M. Darling and B. Precious, A Corpus of Roman Pottery from Lincoln (Oxford, 2014), pp. vi, 109, 114, who support the possibility of this local ware continuing in production into the fifth century. With regard to urban activity into the early fifth century at Flaxengate, see for example Jones, ‘The Colonia era: archaeological account’, p. 133; Darling and Precious, Corpus of Roman Pottery from Lincoln, p. 215. 7 K. Leahy, The Anglo-Saxon Kingdom of Lindsey (Stroud, 2007), pp. 52–3, 86; K. Leahy, ‘Interrupting the Pots’: The Excavation of Cleatham Anglo-Saxon Cemetery (York, 2007), pp. 122, 126–7. 8 Leahy, ‘Interrupting the Pots’: The Excavation of Cleatham Anglo-Saxon Cemetery, pp. 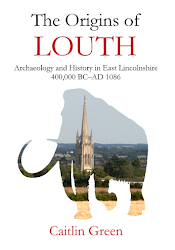 125, 126–7; Leahy, Anglo-Saxon Kingdom of Lindsey, pp. 52–3; K. Leahy, 'Vessel', Portable Antiquities Scheme FAKL-895042, 5 September 2013, online at https://finds.org.uk/database/artefacts/record/id/575261. For the quote on Great Casterton and Roman–Saxon burial continuity, see S. Lucy, The Anglo-Saxon Way of Death (Stroud, 2000), p. 150; on Littleborough/Segelocum in the time of Edwin of Deira, see B. Yorke, ‘Lindsey: the lost kingdom found?’, in A. Vince (ed. ), Pre-Viking Lindsey (Lincoln, 1993), pp. 141–50 at pp. 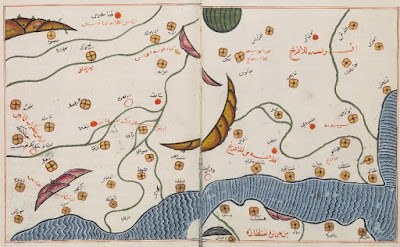 141–2. 9 C. F. Lingard and L. Bonner, Blyborough-Brigg 300mm Gas Pipeline, 1993, Archaeological Report (1994), pp. 21–6, 79, fig. 7. 10 J. N. L. Myres, ‘Lincoln in the fifth century A.D.’, The Archaeological Journal, 103 (1946), 85–88 at pp. 87–88; C. R. Green, 'An early Anglo-Saxon pot from the Greetwell villa-palace', blog post, 8 April 2015, online at http://www.caitlingreen.org/2015/04/an-early-anglo-saxon-pot-from-greetwell.html; D. Stocker et al, 'The Greetwell villa', LARA RAZ 7.23, Heritage Connect Lincoln, online at http://www.heritageconnectlincoln.com/lara-raz/the-greetwell-villa/908; D. Stocker & P. Everson, 'The straight and narrow way: Fenland causeways and the conversion of the landscape in the Witham valley, Lincolnshire', in M. O. H. Carver (ed. ), The Cross Goes North: Processes of Conversion in Northern Europe, A.D. 300–1300 (Woodbridge, 2002), pp. 271–88 at p. 279. 11 K. R. Dark, ‘Pottery and local production at the end of Roman Britain’, in K. R. Dark (ed. ), External Contacts and the Economy of Late Roman and Post-Roman Britain, edited by K. R. Dark (Woodbridge, 1996), pp. 53–65 at pp. 58–9; see also Jones, ‘The Colonia era: archaeological account’, p. 138. It should be noted that whilst Dark's argument has been approached with some caution in the past due to an apparent lack of other evidence for the continuence of the Romano-British pottery industry beyond c. AD 400 in the Lincoln region, this is clearly no longer a credible objection in light of the other evidence noted above. See also Green, 'British kingdom of Lindsey', pp. 23 and fn. 97, for another Romano-British kiln in the Lincoln region, at Lea near Gainsborough, which has some curious magnetic dating results that appear to indicate that its last firing could have taken place in the mid–late fifth century—Dr D. Tarling and Mrs N. H. Yassi's note that ‘[i]f the kiln was not last fired at this time, then the reason for the observed deviation is not known and urgently requires further study’: N. Field, ‘Romano-British pottery kilns in the Trent Valley’, Lincolnshire History and Archaeology, 19 (1984), 100–02 at pp. 101–02. 12 D. C. Briscoe, 'Two important stamp motifs in Roman Britain and thereafter', Internet Archaeology, 41 (2016), online at http://intarch.ac.uk/journal/issue41/2/index.html. 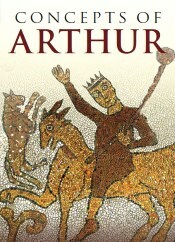 13 See Green, Britons and Anglo-Saxons (Lincoln, 2012), pp. 93–5, 113, 152 and fig. 21a on possible provincial continuity. On major Late Roman residences in the region that may have seen continued maintenance and use into the fifth century, see, for example, the Roman palace at Castor, located 10 miles to the south-east of Great Casterton—the walls here still stood up to 11 feet high in the nineteenth century and it has been suggested that both they and the roof of this structure were maintained and remained sound at least partway into the 'post-Roman' era. Likewise, the Late Roman villa at Denton, near Grantham, had at least one additional phase of building work after the very late fourth century and appears to have still had a sound roof as late as the early sixth century, which is clearly intriguing. Finally, the previously mentioned sixth-century domestic vessel found in the villa-palace at Lincoln has been considered indicative of continued occupation there into the sixth century, and the recovery of an exceptionally high status British silver proto-hand-pin of potentially fifth-century date from the villa at Welton le Wold, near Louth, is clearly similarly suggestive. See further on these examples S. G. Upex, 'The Praetorium of Edmund Artis: a summary of excavations and surveys of the palatial Roman structure at Castor, Cambridgeshire 1828–2010', Britannia, 42 (2011), 23–112 at pp. 97–8; J. T. Smith, 'The Roman villa at Denton', Lincolnshire Architectural and Archaeological Society Reports and Papers, 10.2 (1964), 75–104 and C. R, Green, 'Roman mosaics from the Greetwell villa-palace and other sites in Lincolnshire', blog post, 11 February 2015, online at http://www.caitlingreen.org/2015/02/roman-mosaics-from-lincolnshire.html; J. N. L. Myres, ‘Lincoln in the fifth century A.D.’, The Archaeological Journal, 103 (1946), 85–88 at pp. 87–88, and J. N. L. Myres, The English Settlements (Oxford, 1986), p. 182; and S. M. Youngs, 'Welton le Wold, Lincolnshire', in DCMS, Treasure Annual Report 2001, pp. 43–4, and C. R. Green, 'Villas and ranches on the late Roman Lincolnshire Wolds: the Welton le Wold villa and its landscape context', blog post, 5 December 2014, online at http://www.caitlingreen.org/2014/12/villas-and-ranches-roman-wolds.html. 14 M. Darling and B. Precious, A Corpus of Roman Pottery from Lincoln (Oxford, 2014), pp. 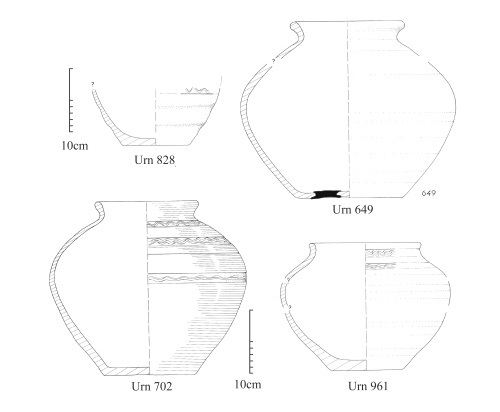 228, 241; L. A. Gilmour, Early Medieval Pottery from Flaxengate, Lincoln (London, 1988), p. 167; C. Thomas, 'Imported pottery in Dark-Age western Britain', Medieval Archaeology, 3 (1959), 89–111 at p. 95.